A couple of months ago I had a meeting with a young couple looking for advice regarding purchasing their first home. When we first connected for their free mortgage analysis, they thought that it could be a couple of years before they were able to save enough down payment to buy that first home. What they didn’t know was that the federal government's Home Buyers Plan (to help first time buyers with their purchase) allows them to each withdraw up to $25,000 from their RSP's to use as a down payment, tax free! They also didn't know that they could accept a gift from family members to help get them started. The third big eye opener for them was that they could borrow their down payment from any financial institution using CMHC's Flex-Down program with no fee or additional charges. And lastly their fourth option was to take advantage of the provincially regulated 5% cash-back program (essentially a no-down-payment mortgage) which allows people with good credit to buy a home without a down payment, at a slightly elevated interest rate for the first 5 year term. I pre-qualified them within 15 minutes! 45 days later they had found their perfect starter home and moved in! If you are a first time buyer and think that home ownership is out of reach ... I can let you know the reality of your situation in less than 15 minutes. For a no-cost, no-obligation consultation, call me now to get started at 519-690-1457. 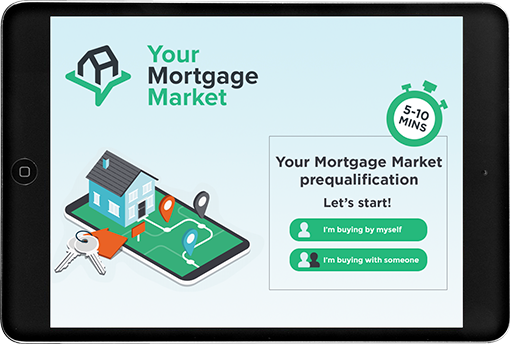 The first allows you to borrow/withdraw up to $20,000 from your RRSP ($40,000 for a couple) in the tax year in which you buy or build a qualifying home. Provided you comply with the conditions governing the plan the withdrawal is not taxable. The loan must be repaid within a 15 year period commencing in the second year after your original withdrawal. You will usually be expected to repay (re-contribute) a minimum of 1/15th of your original withdrawal in each succeeding year until repayment is made. In Ontario first time home buyers are eligible for a refund of the Land Transfer Tax they paid on closing, which would normally be administered by the lawyer who handled the purchase transaction. There is a maximum rebate of $2,000 available under the plan,which represents the equivalent of the land transfer tax payable on a home valued at $227,500. These changes will apply to income tax filings beginning with the 2009 tax year. Under the “Home Buyers’ Plan”, the maximum amount you may now withdraw from your RSP has been increased to $25,000 from $20,000. Each buyer may withdraw a maximum of $25,000, provided the funds are applied to the acquisition of the home, without incurring a tax liability on the withdrawal - provided such persons qualify as “first time home buyers”. A person is considered to be a first time home buyer if that person has not owned a home in the calendar year of the purchase or any of the four preceding calendar years. Contributions must have been made at least 90 days prior to their withdrawal to qualify. First time home buyers, as described above, who purchase a home after January 27, 2009 may now also claim a $5000 non-refundable tax credit. Unlike the Home Buyers Plan, if each spouse or partner uses his or her own funds to jointly purchase a new home this First Time Home Buyers’ Tax Credit is limited to one credit of $5000, not $5000 for each spouse or partner. In this case it would make sense for the higher income earner to claim the credit.